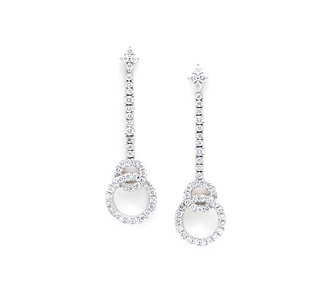 Two intertwined circles of round prong set diamonds hang from stems of continuous diamonds with clusters of 4 round diamonds meeting the post backs of these diamond drop earrings. 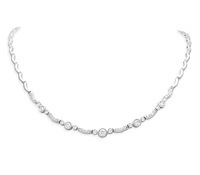 Borrow this wedding jewelry for a perfect mix of modern & classic styles. 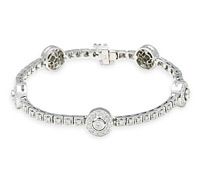 Diamonds: 1.39 TW | Gold: 18K White | Post | Length: 1 1/2 in.